Double referral points this September! 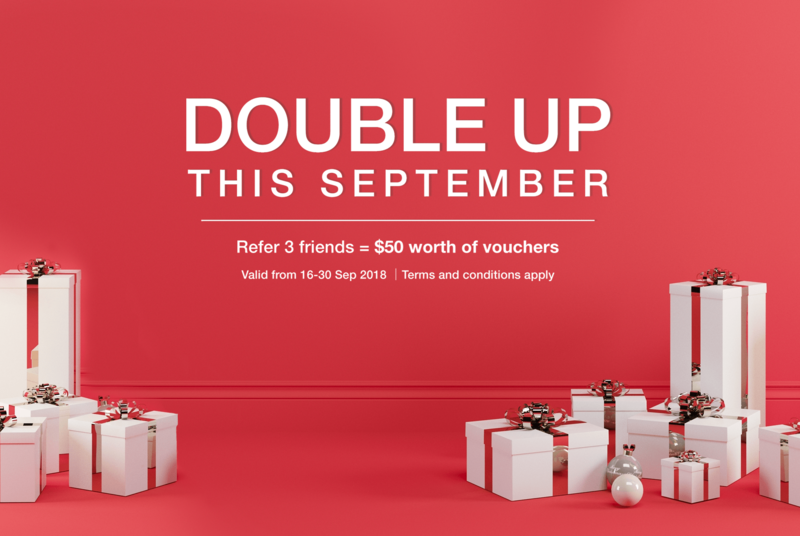 Double up your referral points this September! From now till the end of September, earn 200 points (was 100) for every successful referral made. 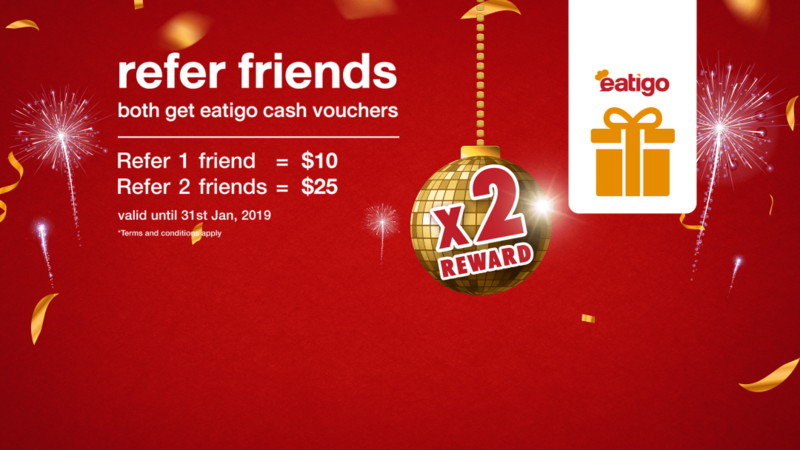 Double points will be awarded to both you and your friend upon their first attended reservation with Eatigo in September – share the good news and rewards with your love ones right away! “Start from Zero” ► To earn points, your friend’s mobile device must have never been installed eatigo before! “Rewards comes duo” ► Points will be awarded within 24 to 48 hours of your friend’s attended reservation, and prizes can be redeemed for both of you! 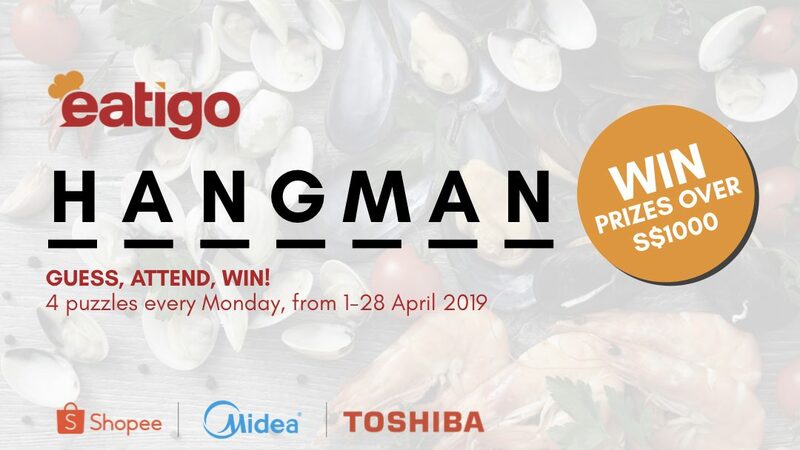 Reserve now and enjoy discount at up to 50% off over 700 restaurants on eatigo! The refer & earn program is only valid for new installs and sign ups on eatigo’s mobile apps. Your friends must not have installed the eatigo app on any of their devices before. The email address through which the friend signs up with the eatigo app, must not have been used for signing up with eatigo before. A sign up with a different email address using the same device will not qualify as a valid referral. The device on which the friend downloads the eatigo app should not be rooted or jail-broken. The eatigo app should not be installed using App runtime for Chrome, emulators or simulators. If your friends use someone else’s referral link, the person whose link was used most recently would receive the reward, even though you may have referred them first. Vouchers may vary in type, value and restrictions based on the local supplier. 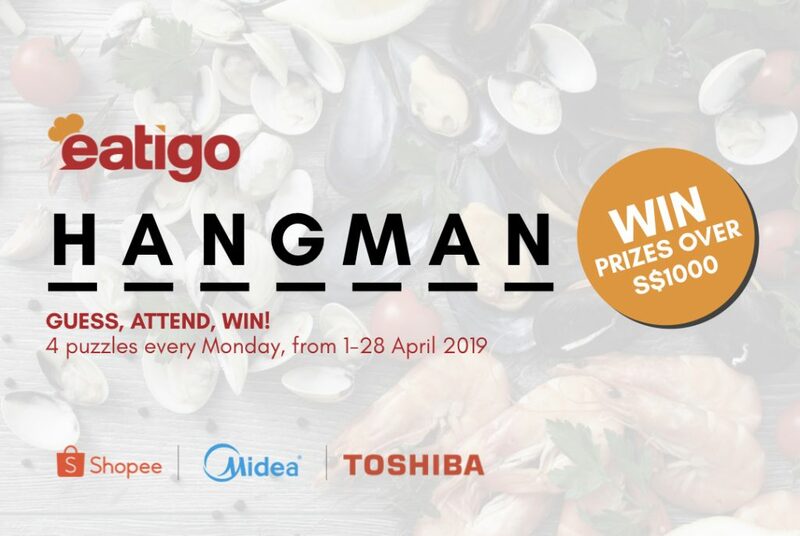 eatigo reserves all rights to change the participating vouchers at any point in time. eatigo reserves all rights to change the rewards conferred under the refer & earn program at any point in time. 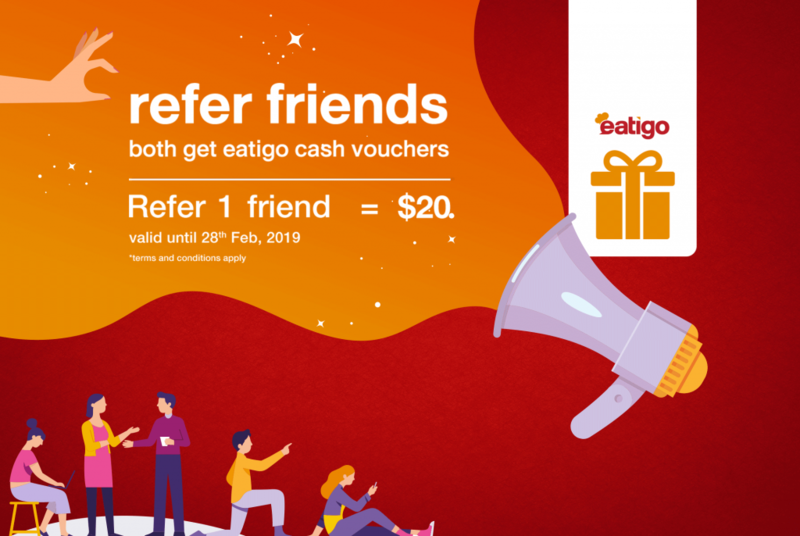 eatigo may suspend or terminate the refer & earn program or any user’s ability to participate in the program at any time for any reason at their discretion. Reward points earned as a result of fraudulent activities will be revoked and deemed invalid. 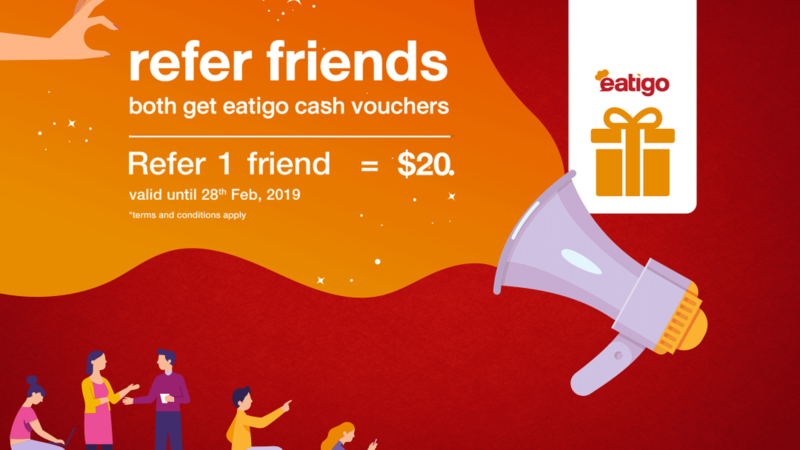 Refer one friend, both earn $20 ECV this February! 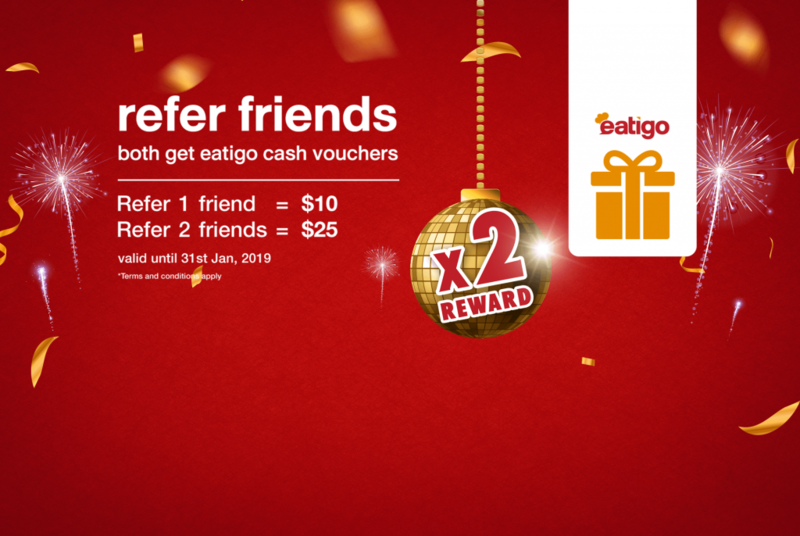 Earn twice the amount of Eatigo Cash Vouchers this January! Anytime, Anywhere – Chain Restaurants at your fingertips!